I used Total Car Shipping. But they hemmed and hawed about when I'd get my truck and it took a week longer than it should. There is a site called u-ship, or uship.com. You enter your info and companies bid on shipping. Problem for me was Total Car wanted 550 and is a broker, the truckers aren't their truckers and the truckers direct at Uship hadn't gotten to 550 yet. Started at 1200 (yea right) and after a couple days fell to 600 bucks. Maybe it would have been worth the extra 50 bucks to get it earlier. Even with the wait Total Car wasn't too bad. Truck got here in one piece and it was exactly what they quoted so I can't ***** too much I guess. I will give that a try. Thanks for the info. So far I havent been having that good of luck due to going thru nothing but brokers and they wanted outrageous prices. That things a tank Brian! I would rather get what David's getting. so what are your first mods ?? I read your post and read the complaints/minor issues. Keep in mind that it's a 7 year old car that probably was a DD. So considering that, it's in pretty decent shape. Is there a Mustang shop nearby? I was wondering if it may be a good idea to take it there for a thourough inspection (check for fluid leaks, worn components/bushings, cylinder leakdown test, etc..). I know you mentioned your Uncle will take a look, but a shop will have a lift plus the tools needed for a good once over. Whatever the shop charges for this service, it will be worth it in the long run. Congrats on finally getting the truck Brian! So speaking of first mods, what's yours?? Got a chance to do fix and a mod yesterday on the TR. As some of my FB peeps already know, I finally was able to get my front door subs working again! Gary and I have been PM'ing back and forth on this issue and came up with bypassing that 5V regulator alltogether. Well, it worked like a charm, now I have the door subs back. Down side at this point is I get the amp 'pop' thru the subs when the system turns on. Not really a big deal. After some surfing on the net concerning this issue, I found wiring kits (like the Crutchfield one) that include a 1.5k resistor that gets soldered inline with the remote turn-on wire. So this is the route I'll go if I start to get sick of that pop noise; they're only like 99 cents at Radio Shack. 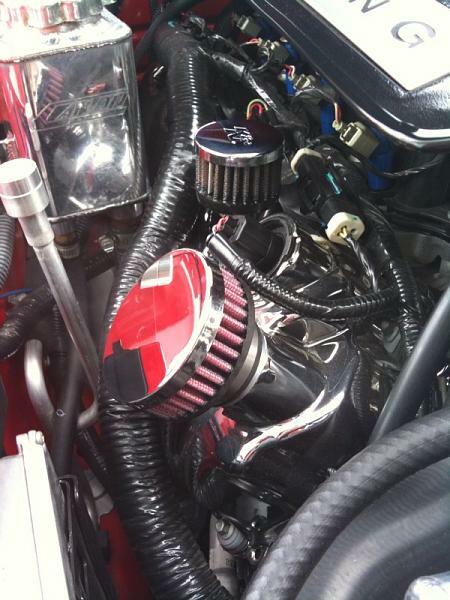 Mod.. Got a chance to install the oil filler cap breather. After seeing Brian's and Leo's, mine seems to be a slightly revised breather. Not only is the filter oil red, but it fits much more snug with almost no play in that billet connector to camcover. Now hopefully, no more residual oil to clean up. looks like a mess bill! I'm going to take it to my mechanic to let him give it a thorough look over, and while it's up on the lift, I'll take a good look at it, and see what all the car has really had done to it. First mods are going to be to replace a few things, mostly the cowl, it's broken on the drivers side in the corner. I'll also replace the headlights with the correct ones and the 3rd brake light needs to be replaced, some doofus painted a good bit of it, for no particular reason that I can see. And I need to replace the airfilter. First real mod will probably be to get it retinted, the tint that's on it is purpling and bubbling, then I'm going to attempt to put on sequential taillights. get ready bank account! here I come! Bill, if you read this thread I posted a few years ago it has the info you need for the pop issue and the radio shack part number. If you have any questions let me know. Robbie, that's the v-regulator I had installed back when I put the Alpine in. Sub amps never got the signal to turn on. Looking back, I wired it backwards. In thinking ahead, I routed the remote turn-on wire near the driver's side sail panel so I don't have to hassle pulling the headunit out again. I think the 1.5k resistor idea will work just as good (seeing they include it in kits), plus be a lot easier to solder than messing with those PITA 3 prongs on the regulator. I'll get to this later on. After messing with this project yesterday, I don't feel like tearing into it again any time soon. Speaking of which, I'll have to revise the Alpine how-to. That was a good idea running it to the side panel, thats much better than pulling the head unit. And yes those little 3 prongs are a major PITA to solder! It shouldn't after soldering need be touched but what about having something like this attached to the 3 pronger ?You have reached your maximum guest watch list limit of 10 items. Please remove some items from your watch list in My eBay if you want to add more. This item has been added to your guest watch list in My eBay. It's a bummer you had to pull the deck Bill. I always dread pulling that thing out. With so many wires and little bxoes and RCA's and everything from teh stereo and all those sharp metal pieces behind the dash, I'm always worried something is gonna get stripped bare or something. 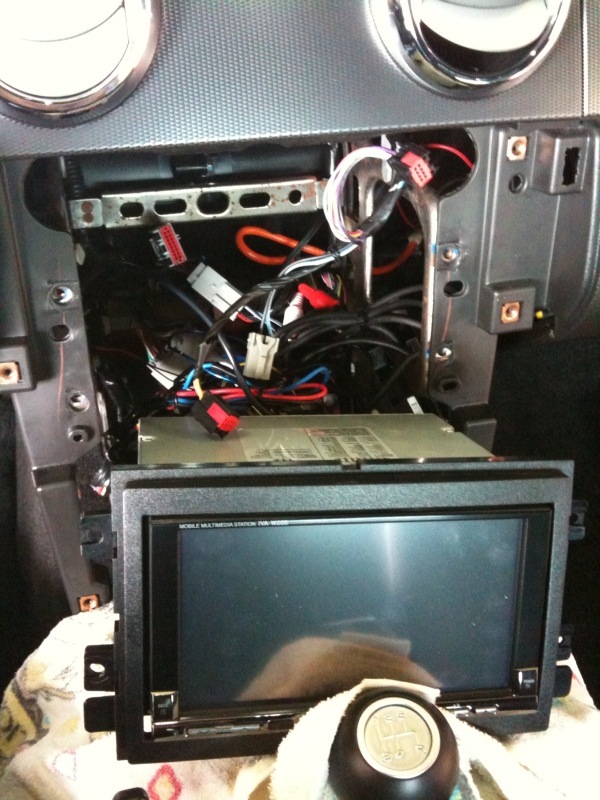 Plus I had to put some washers behind the head unit to get it to set flush with teh black cover panel. Of course everytime I get in there I lose washers on teh carpet and bla bla bla. Anyway. Congrats on getting some more bass/mid-bass back in the car. it's what a 15 min top to pull a head unit out ! lazy's It'd help to listen to tunes while doing so but withpower off NOT going to happen. Looks like a nice starting point for a car you were looking for David! And a decent price too! And that truck definitely brings back memories of my grandpa's truck! Looks like it'll be a fun project! Well, since I had nothing better to do today, I did it. Went to Radio Shack and bought a 5-pack of 1.5k resistors for only 99 cents. Had Chris give me hand and soldered in the resistor. And like magic, the pop is gone. Hey I'll call Dave again for the AC. 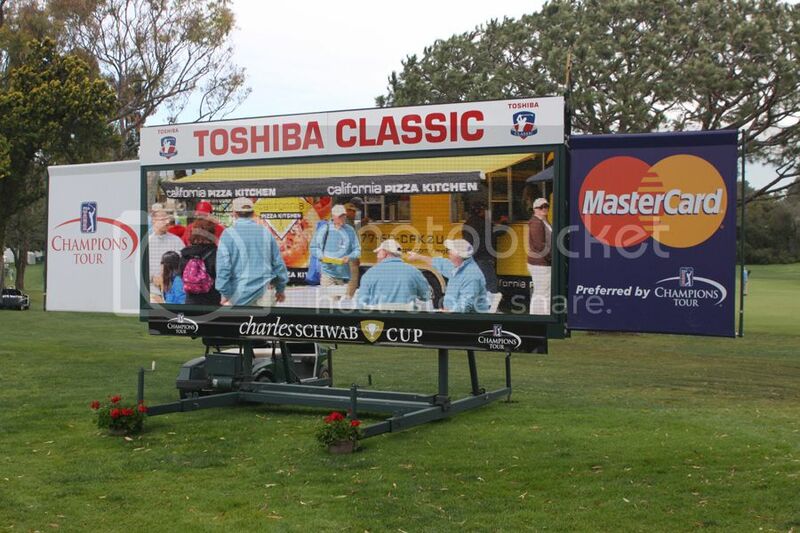 My day started with attending the Toshiba PGA in Newport Beach. The CPK Catering kitchen was down there so I shot it! I looked for Tiger but he was a no show. 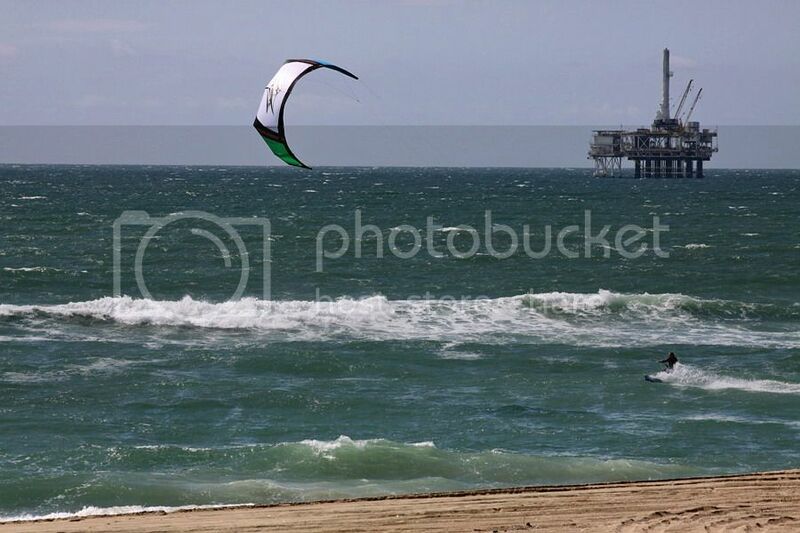 Saw this Surf Sailing dude having fun! 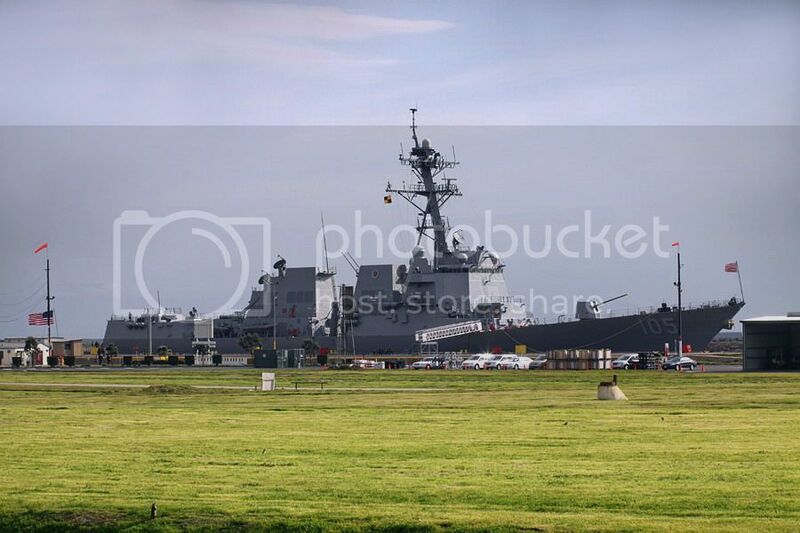 Then I stop by the Naval Weapons Station in Seal Beach. 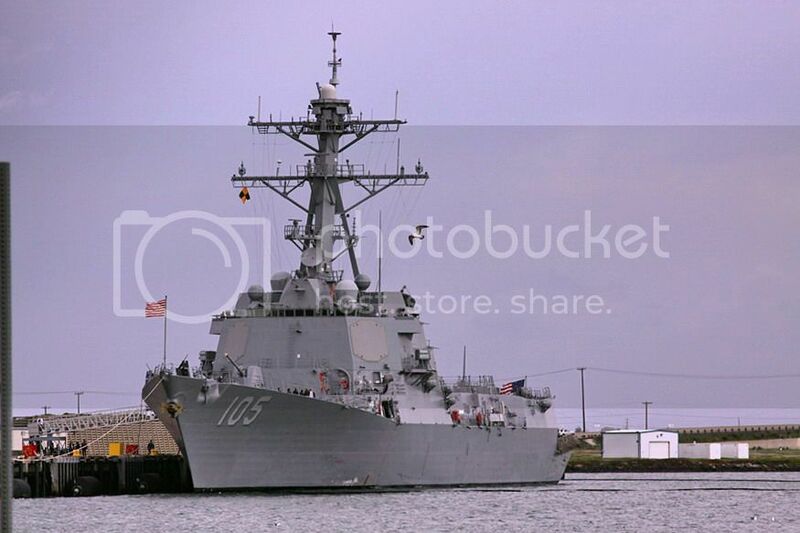 They commissioned a new cruiser got a few shots even if it was forbidden! 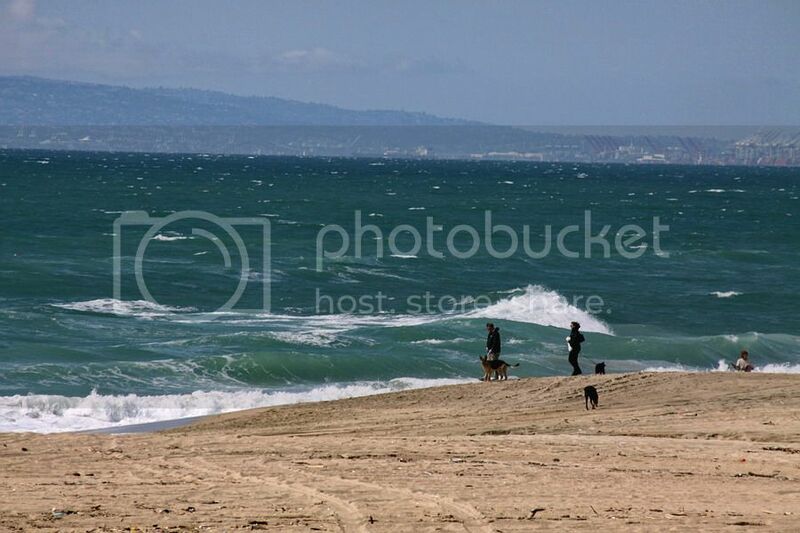 Speed, 30+ Knots, Range 4400 [email protected] 20 Knots, Crew 370. 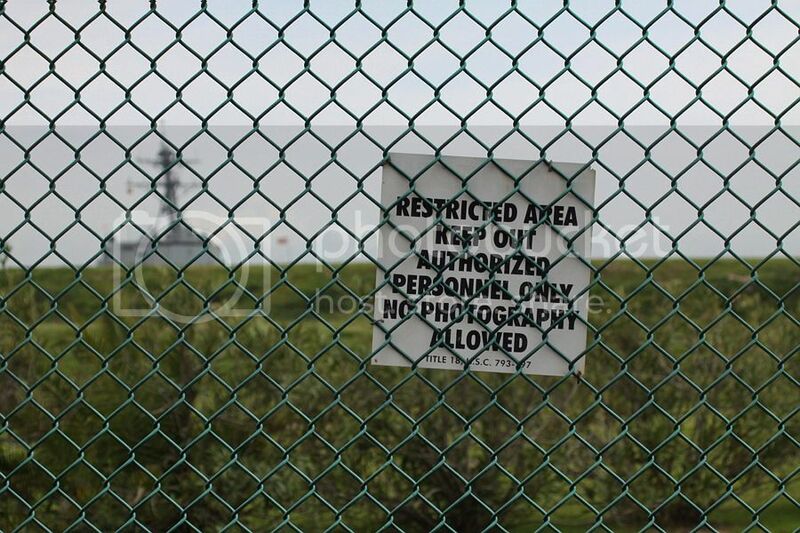 Construction began May 2 2005 at Northrup Grumman. Christened January 26 2008 at Pascagoula, MS. Commissioned March 6 2010 at Naval Weapons Station, Seal Beach, Calif. I was under the Stang Saturday and I welded my exhaust. I eliminated a vibration I was getting, gone now! Next week I think I'm going to paint my mufflers black. During this week I'm going to do the mask and prep. Muhahah! Last edited by JedCranium; 3/7/10 at 09:05 PM. You're welcome! 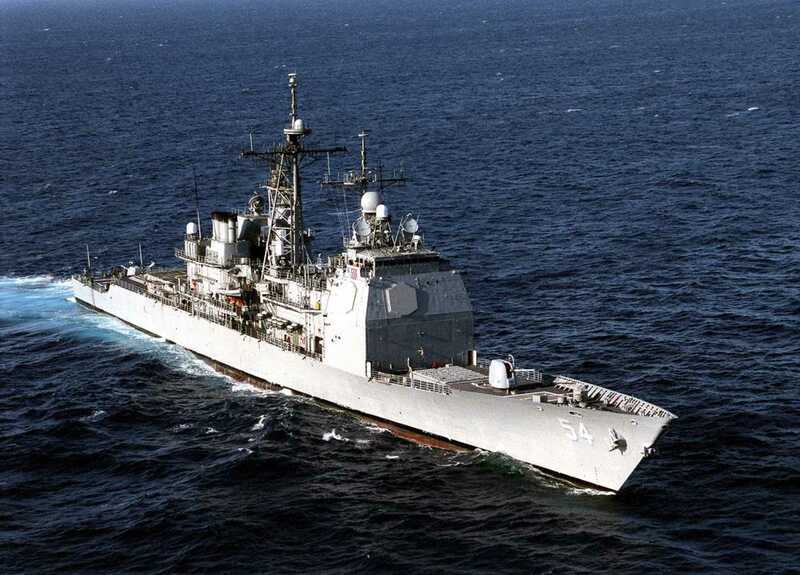 I had the opportunity to board the USS Antietam (CG 54) when it was docked in San Diego, it's a bad azz ship it's a Ticonderoga class missile cruiser. I love WAR machines! Keep us updated David on what happens. I can probably pull the deck 8 mins flat. I was under the Stang Saturday and I welded my exhaust. Yeah, my whole A/C problem has been a thorn in my side. Though I want to get it fixed, I really don't want to spend a stupid amount of money repairing it. Was a nice day yesterday in SoCal! No pics of the weld repair? Show us the beads!